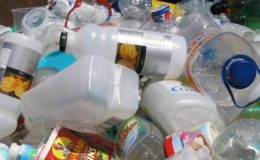 This newspaper endorses the efforts of the Office of the Public Defender in support of the four persons seeking redress against the National Solid Waste Management Authority (NSWMA) for infringing their constitutional right to a healthy environment and from a threat of injury because of environmental abuse. We do not only believe that the quartet of Louie Johnson, Joya Hylton, Lamoy Malabre and Ernest Sandcroft are on solid ground with regard to the specific matters relating to a 2014 fire, but insist that the NSWMA is a serial offender as the recent fire at its Riverton City dump demonstrated. However, it is not only the NSWMA against which Arlene Harrison Henry, the public defender, should train her legal fire. We believe that she, and others with interest in the matter, including environmental NGOs, should also encourage people affected by recent Riverton fires to seek redress against the National Environment and Planning Agency (NEPA), its executive director, Peter Knight, and the chairman of its advisory board, Ewart Scott, for not only palpably failing to fulfil their mandate of protecting the environment, but actively aiding and abetting the NSWMA in its recidivism. Further, they should enjoin in any such suit the Natural Resources and Conservation Authority (NRCA), for which NEPA operates as agent, as well as the NRCA’s chairman, Danville Walker. 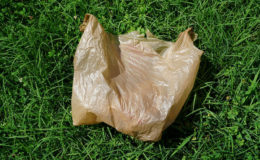 The NSWMA is ostensibly the regulator of solid waste management in Jamaica, although, judging from the state of garbage collection and disposal you’d be hard pressed to believe that there is any agency in the country with this mandate. But not only is the NSWMA the regulator, it also operates a series of dumps across the island, which are mischaracterised as landfills. These facilities are prone to fires, especially the largest one, Riverton, which serves the Kingston metropolitan region and handles around 400,000 tons of waste annually. There have been nearly a dozen major fires at Riverton in the last decade and a half, the worst of which, in 2015, burnt for nearly a fortnight and, like the one last month, caused palls of acrid smoke to hang low over large swathes of the city. A relevant factor in this matter is Section 13 (3) (l) of Jamaica’s Constitution that declares the right of citizens “to enjoy a healthy and productive environment free from the threat of injury or damage from environmental abuse and degradation of the ecological heritage”. 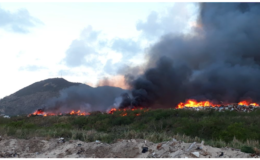 Many thousands of people, especially those who live close to Riverton or the dumps in the parishes of St James and St Thomas, where there were also recent fires and suffer from respiratory ailments, should probably insist that those rights have been infringed. Indeed, air-quality analyses by NEPA during the 2015 fire revealed elevated levels, some very high, of volatile organic compounds and other pollutants in the city, including in communities upwind of, and far from, the dump. The potentially dangerous chemical, benzene, for which Jamaica and most jurisdictions have no ambient air-quality standard, was among compounds found in the atmosphere in higher concentrations. Happily, the court rejected the NSWMA’s claim that the quartet’s case was frivolous and an abuse of process. This means that it will be heard and hopefully joined by others calling on NEPA to account for failing to follow through on its 2015 threat to withdraw licences for the operation of the Riverton dump. 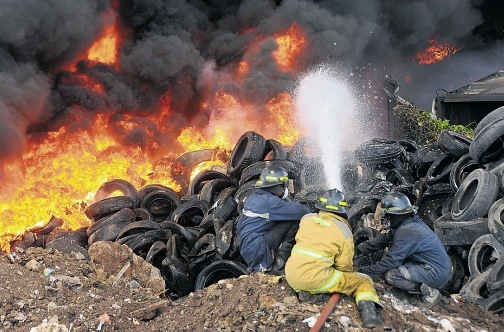 See also, from RJR News: Residents affected by smoke from dump urged to mount a legal challenge.